Bryce Christensen was born in Carroll, Iowa, the son of Howard and Donna Christensen. When Christensen was 2 years old, his father left his farm in western Iowa to pursue a degree in social work at the University of Iowa, later moving to Cedar Rapids. Christensen’s first introduction to music was learning the piano at the age of 7 on an old broken upright piano. He and his older sister took private lessons on the piano during most of their childhood and teenage years. 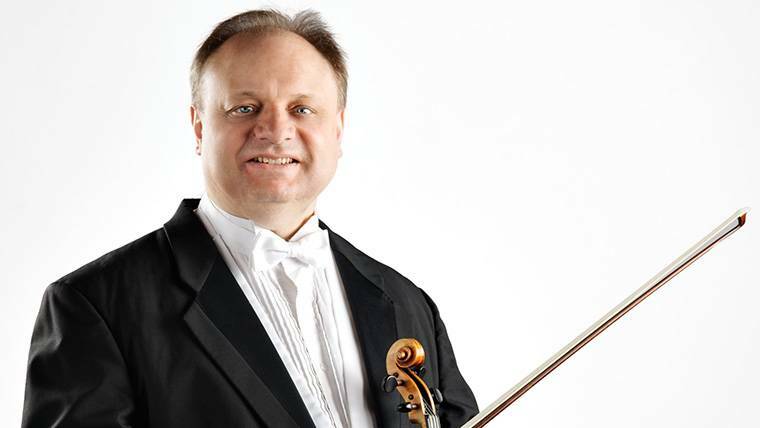 Christensen started on the violin at the age of 10. His first teacher was Mr. Duckwall, a superb public school teacher who gave him a great deal of respect and encouragement regarding his ambitions. He then went on to study privately until graduating from high school. Christensen decided to major in violin performance after starting college and trying several other ideas as majors. Following graduate school, he performed in a Christian music ministry as a pianist and violinist for over ten years. During these years, he received much valuable experience in solo and ensemble playing, recording and performing skills in a way which ministered to and touched the hearts of his listeners. I especially enjoyed the times when the Symphony Guild prepared meals for the players and singers between Holiday concerts during the 1980’s and 1990’s. The food was delicious and it was relaxing and fun to visit with the players.